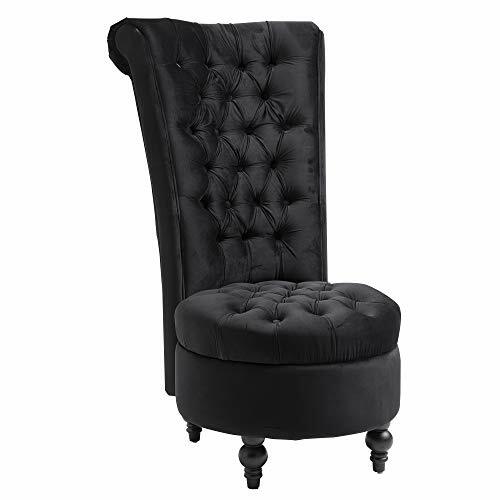 Raven Decor Deals - Buy Online. Halloween Store. Incredible selection of Halloween Costumes, Halloween Decorations and more! What an interesting set! With 3 separate blocks, you can present this set in a variety of ways. It's nice quality, solid wood and will make a perfect addition to your Halloween or creepy décor! This mystical "shape shifter," legendary even before Edgar Allan Poe sang its praises, is a fabled messenger between the worlds who will also lend prophetic presence to your home or garden wall. 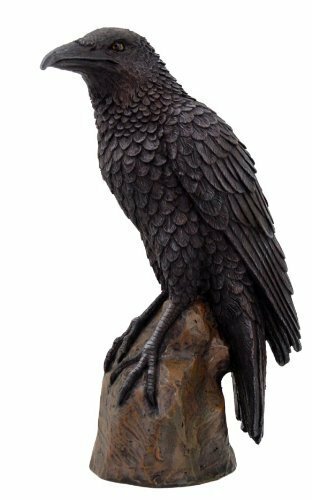 Intricately sculpted from feathers to talons, our Toscano exclusive is cast in quality designer resin and finely hand-painted in charcoal black as a three-dimensional visitor with a mystical air. 7.5"Wx5"Dx18"H. 3 lbs. Straight out of a Gothic nightmare, this mystical shape shifter perches on a rose covered skull sitting atop a book opened to the infamous 'The Raven' poem immortalized in literature by Edgar Allen Poe. 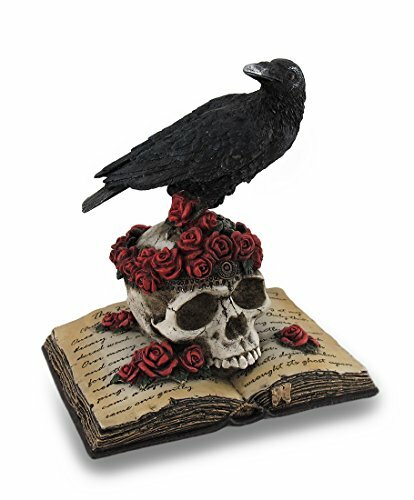 This black raven and skull statue is expertly cast in resin and meticulously hand-painted bringing out all the amazing details, from the crow's feathered body and aged effects on the skull to the individual roses and pages of the book. 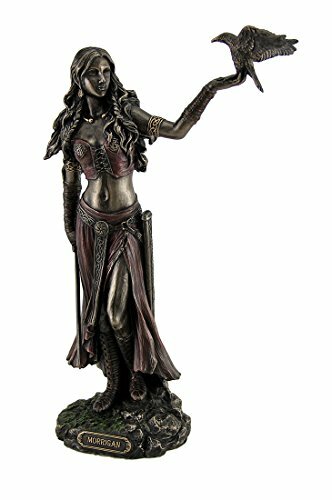 This macabre 7 inch high, 5 inch long, 4.5 inch wide (18 X 13 X 11 cm) statue has a velvet effect lined bottom to help protect delicate display surfaces, and it's a fantastical gift any skull collector is sure to admire! 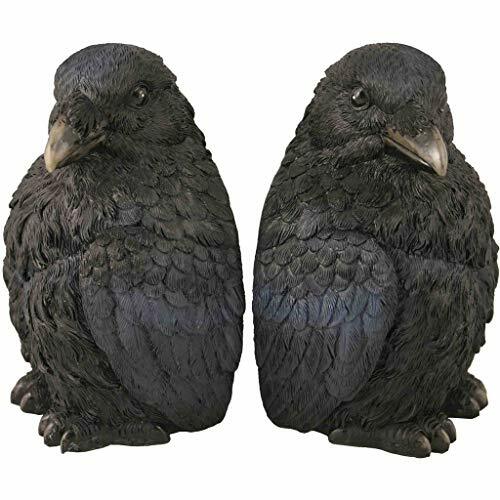 STREAMLINE RAVEN BIRD DECOR BOOKENDS SET: Hark, the raven! Never more? No, never fear -- it's holding up your books! 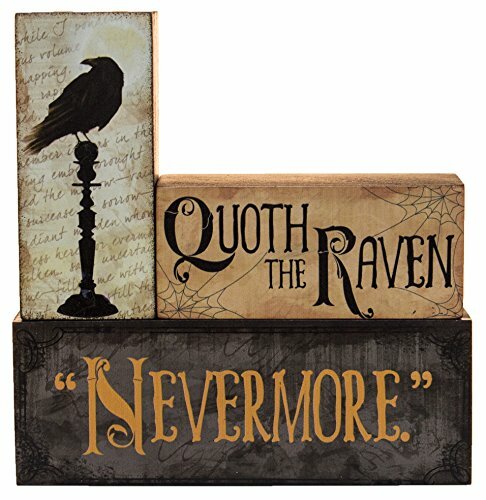 The Raven Bookend Set is perfect for your home library or simple shelf of books. Made of durable resin, they fit comfortably on any flat size and don't take up much space. 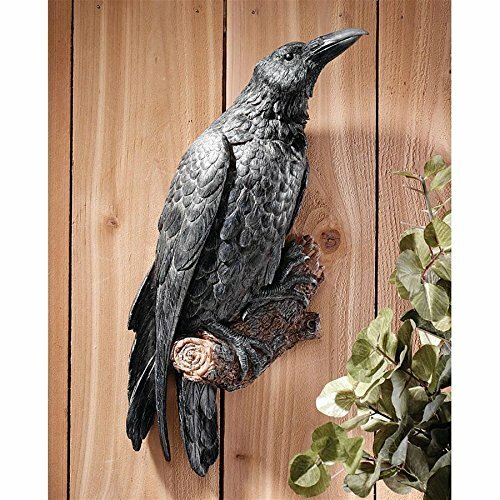 These realistic looking ravens are both intimidating and fascinating, and are sure to evoke all the foreboding of Poe*s mighty bird as they perch atop your mantle or bookshelves, bidding you draw nearer. Let this gothic design hold up your books while starting a conversation -- always more! 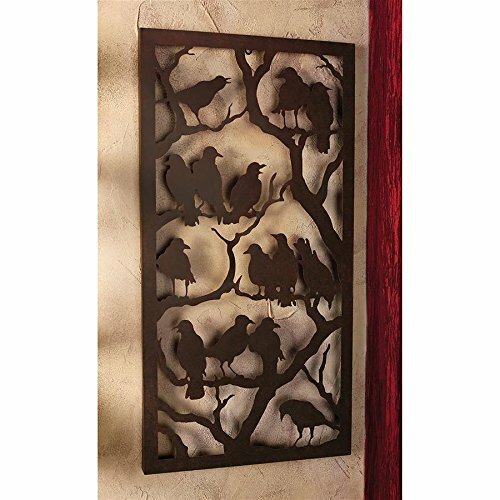 Watch the changing light cast the mysterious shadows of these mystical ravens, harbingers of magic and creation, onto a favorite home or garden wall. Created exclusively for us at Design Toscano, this yard-high, crafted metal panel boasts an antiqued black finish with just enough rusty patina to lend a vintage look and feel. Add drama and enchantment with the shape shifters of the animal kingdom! 19"Wx1"Dx36"H. 4 lbs.